Pvt. 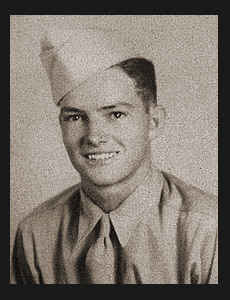 Earl A. Roberts, Jr., son of Mr. and Mrs. Earl Roberts, Sr., graduated from Henderson High School; husband of the former Ruby Gene Zumwolt. Entered Army in March, 1945, trained in Camp Maxey, Texas; served in the Philippines and Japan, where he is now on duty. Awarded Combat Inf. Badge.